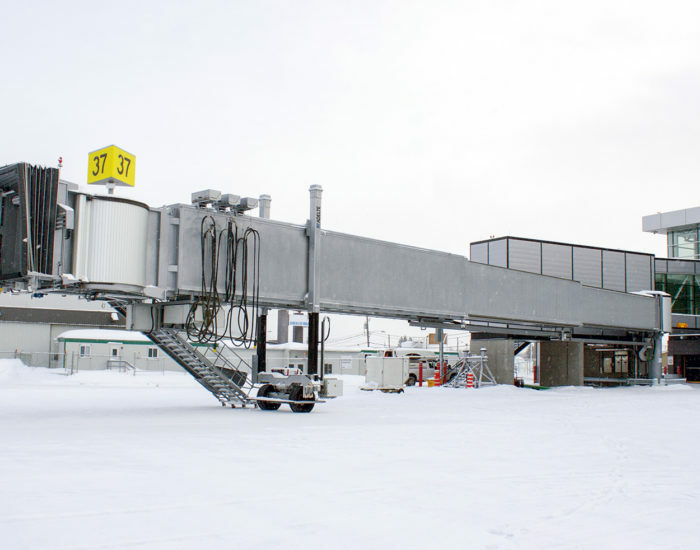 AERIA ordered to ADELTE a total of four passenger boarding bridges for the International Airport of Abidjan (The Ivory Coast), in this way confirming ADELTE’s backing in the African continent. The contract was signed in August of 1998 and the delivery carried out last year. 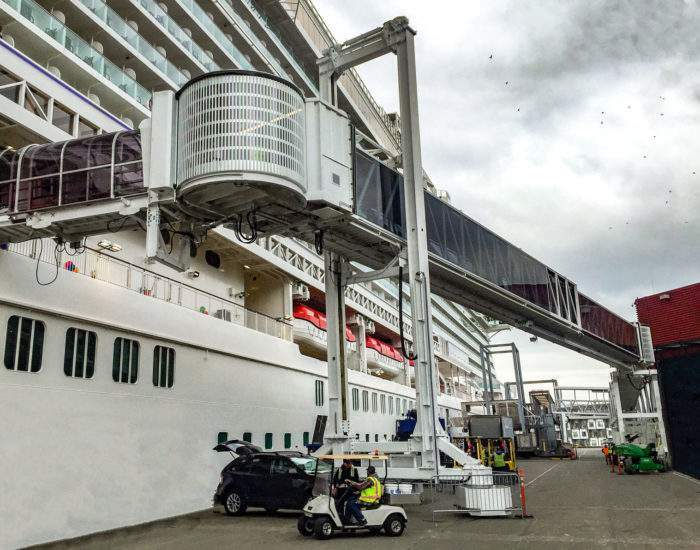 The passenger boarding bridges have the latest features available on the market. They are Apron Drive type, two – section decreasing metal structures, model PTT-250/385-2D and measuring 38.5 metres in length. 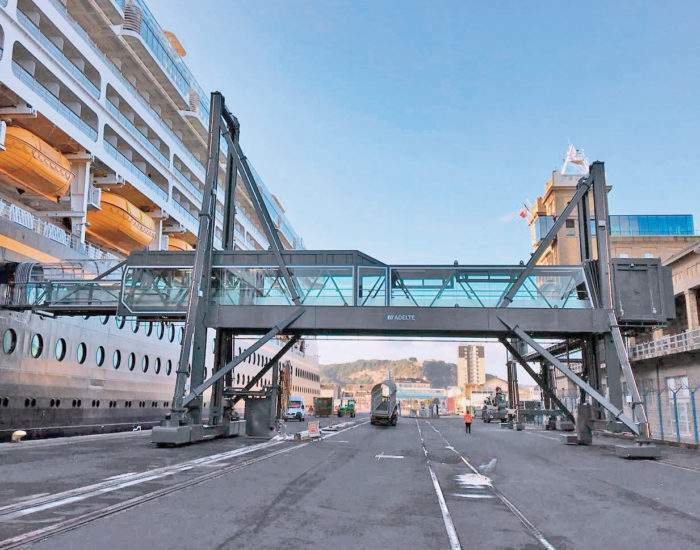 With a minimum docking height of 1.6 metres, their exterior has a smooth finish design, blunt edges and stainless steel guide tracks. Characteristics that are in perfect combination with their interior, with Altro flooring, PVC, fluorescent lighting and stainless steel guide tracks in the lower corners. 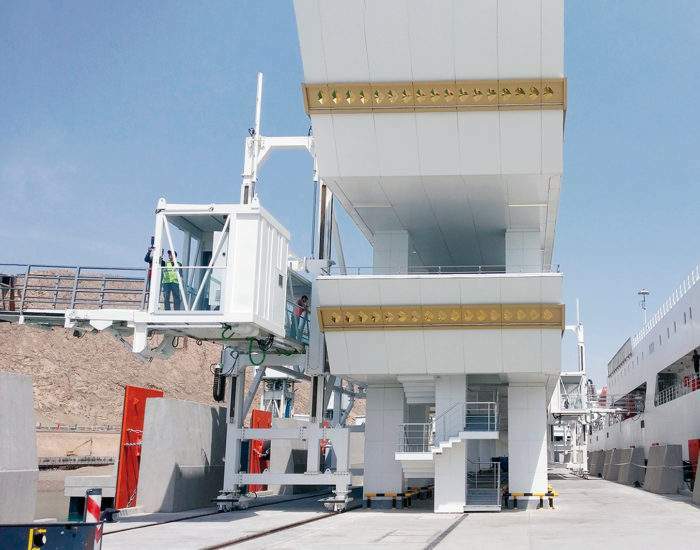 The passenger boarding bridges are anchored by means of reinforced concrete and their lifting and traction mechanisms have an electric activation system. In addition, these boarding units have a continuous power supply system. The Abidjan airport also has a maintenance base made up of ADELTE professionals who are in charge of all its installations.